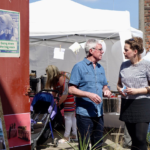 Through the Bright Ideas business development programme, Kitty’s Launderette is developing their idea for an inclusive arts space, launderette and community hub into a sustainable, co-operative business model. Kitty’s aims to accommodate a diverse range of individuals in its community who need access to affordable laundry services, including the elderly, families on low income and migrants. The launderette aims to provide an everyday space in which arts can be accessed and participated in by people who would not otherwise get the chance due to financial and social barriers. Liverpool was the first place in the country to introduce public wash houses and communal laundry services. The launderette aims to revive this tradition that is rooted to the city. Within the grounds of Liverpool Cathedral lies the gravestone of one of Liverpool’s less celebrated citizens – Kitty Wilkinson. Also known as the ‘Saint of the Slums’, throughout her life she diligently looked after orphaned children and destitute widows. In 1832 she played a significant role in tackling the cholera epidemic by allowing members of her community to use her boiler to wash their clothes and linens for 1 penny per week. This work inspired the council to go on to open the first public wash house in the country in 1842. It was a local enterprise with a social objective at its heart! The legacy of Kitty Wilkinson is being kept alive through Kitty’s launderette – a new community business that aims to provide a vital service to the local area by providing affordable washing and drying facilities to residents, while also reimagining the underused space of the laundrette for a variety of social and creative activities. From film screening and local history groups, to crafts and ironing clubs, the launderette will aim to become a community hub by providing free Wi-Fi, affordable access to computer and printing facilities as well as a community notice board to promote local information exchange. It aims to support artist practice which values how arts function in communities rather than being directed towards the art market. The organisation hopes to be open and accessible to all members of their diverse community and address a spectrum of needs. The lack of laundry facilities can have negative health effects if people try to dry damp clothes in poorly ventilated spaces. It can also lead people into debt because they have no other option than to hire purchase washing machines through exploitive companies. 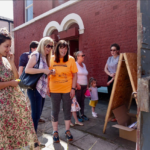 They will also use their established connections within the asylum, refugee, and migrant (ARM) community in Liverpool to become a welcoming and accessible space for the north of the city. 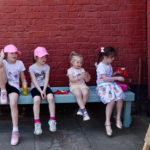 Commenting on the Bright Ideas programme, Grace Harrison from Liverpool Community Launderette, said: “The support and guidance we’ve received has been absolutely fantastic! I was particularly impressed with how flexible the training has been and how it was able to address our specific organisational needs. It’s been robust and detailed but not bogged down in admin which can obstruct what you’re trying to achieve. It’s invigorating and encouraging to feel so supported as part of the Bright Ideas programme. There is a wealth of knowledge and experience of people who have already set up a variety of community businesses and it feels like a movement for sustainable alternatives. 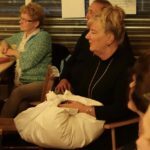 Kitty’s Launderette are trying to reach a £14,000 goal to establish a new affordable and ecological launderette for the community. If you would like to donate to help reach their goal, visit their Kickstarter page.